CDR Technical Services Ltd is celebrating 10years as the official U.K Distributor for E.G.O. Elektro-Gerate AG. In 2009 CDR was appointed the official European Distributor for Robertshaw Controls (Part of the Invensys Group). 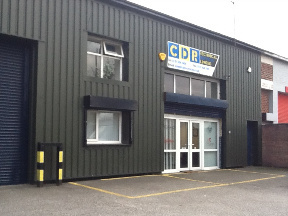 In later 2011, CDR was appointed the official European Agent for Channel Products Inc. CDR technical Services Ltd, carry a comprehensive range of products in stock, which meet the requirements of the OEM's in the United kingdom and Ireland. OEM Products - Available from stock includes E.G.O thermostats, rotary switches, solid hotplates, energy regulators and tubular elements, including the NEW range of E.G.O. straight length rod elements. More recently, CDR Technical Services Ltd were appointed as European Distributor for Robertshaw Controls, this position increased our stock facility to include Unitrol Gas Valves, pilot assemblies, Thermocouples/Thermopiles and a comprehensive range of gas thermostats and cut out limiters. From stocks, we can offer a wide range of Burner assemblies for commercial oven applications. 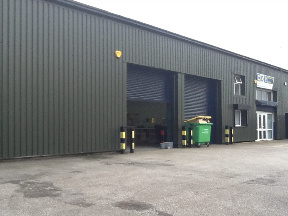 Our company offers, Technical and Logistical support to manufacturers in the Commercial and Industrial Market Sectors. Assistance is given from concept design to production of the appliance. Customer Service - our staff offer a fast, friendly professional service in order to process and provide assistance with your orders - whether it is by phone, fax or email. Technical support - have an application question? Our team are trained to the highest level in order to answer your questions. The CDR Technical Services Ltd sales team have many years experience in supporting manufactures in the development of new appliances. Prompt Delivery Service - after you have placed your order, CDR's shipping department, will pick and ship your order promptly and completely within 24 hours on most in stock items. CDR Technical Services Ltd. - has been awarded with quality assurance certification(IS09001:2000) for the sales, stock holding and distribution of electrical/electronic controls and heating elements.